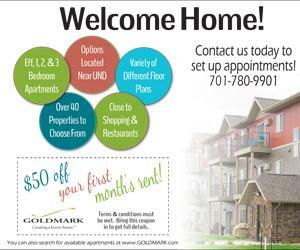 The University of North Dakota Men’s basketball team had an important week. 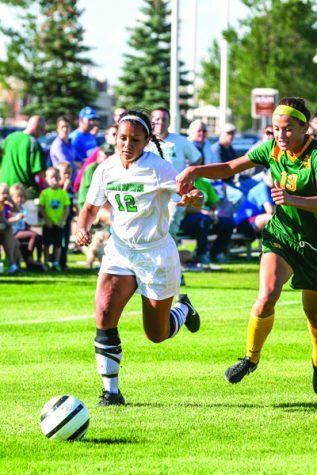 The Fighting Hawks entered this week with a not-too-impressive 2-6 record in Summit League play. They started off last week on the road at Western Illinois. 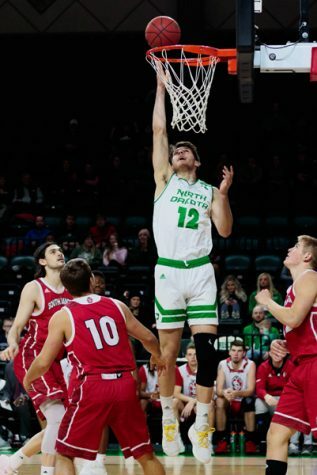 UND got a much-needed 74-73 win behind Kienan Walter’s efficient 18-point performance. Walter shot 6-of-9 from the field and 3-of-6 from 3-point range and also added six rebounds, two assists and two blocks in 37 minutes of action. Senior guard Cortez Seales also had a strong game, scoring 17 points on 8-of-16 shooting from the field to go along with a game-high 15 rebounds (six of them on the offensive end) and four assists. Junior guard Marlon Stewart struggled uncharacteristically on offense, scoring 11 points on a rough 3-of-10 shooting from the field. He did, however, make the most important two shots of the game. With less than two seconds left, Stewart hit two free throws to give the Fighting Hawks a one-point lead that would hold until the final buzzer. After the tough game against Western Illinois, UND travelled to Omaha to take on the Mavericks in a Sunday matinee. Omaha has been one of the best teams in the Summit League this year and nothing changed on Sunday afternoon. The Mavericks looked like the better team for nearly the entire game, consistently forcing turnovers and keeping UND out of the paint. It took UND more than 10 minutes to get their first points in the paint, and they’d only finish with a mere 26 paint points (compared to 52 from Omaha). That isn’t going to get it done against an opponent like the Mavericks. 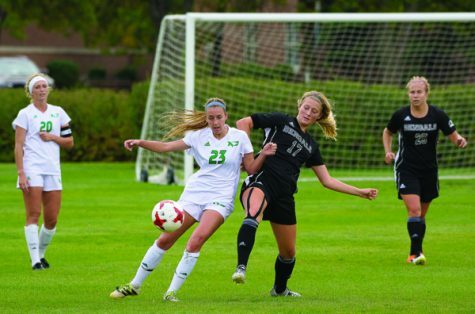 The biggest problem for UND, though, was turnovers. In the first half, UND turned the ball over nine times. Not surprisingly, the Hawks would go into the second half down 49-33. Omaha picked up where they left off to start the second half as they jumped out to a 20-point lead. 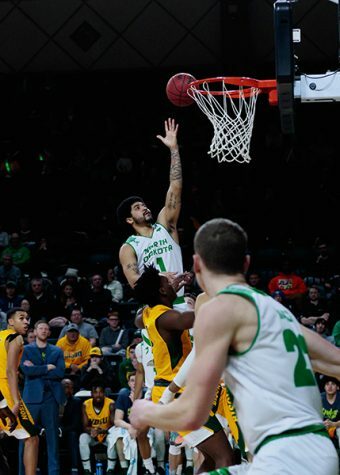 UND went on to play their best basketball of the day, as incredible shooting from Billy Brown and Aanen Moody propelled UND to a 16-0 run, which cut Omaha’s lead to four. Brown finished the game with 16 points on 6-of-9 shooting from the field and an impressive 4-of-5 shooting from 3-point range. Moody led the Hawks bench with 15 points on 5-of-8 shooting from deep to go along with five rebounds. 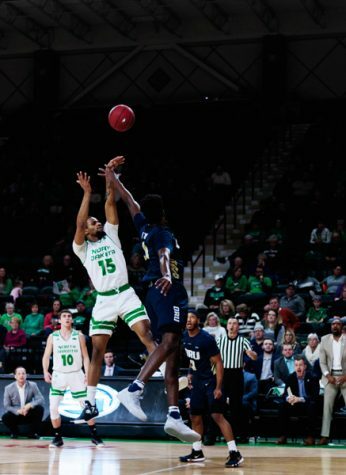 The sharpshooting of Brown and Moody is what brought UND back into the game, but the phenomenal play from Cortez Seales was the most impressive (and consistent) part of the game for North Dakota. 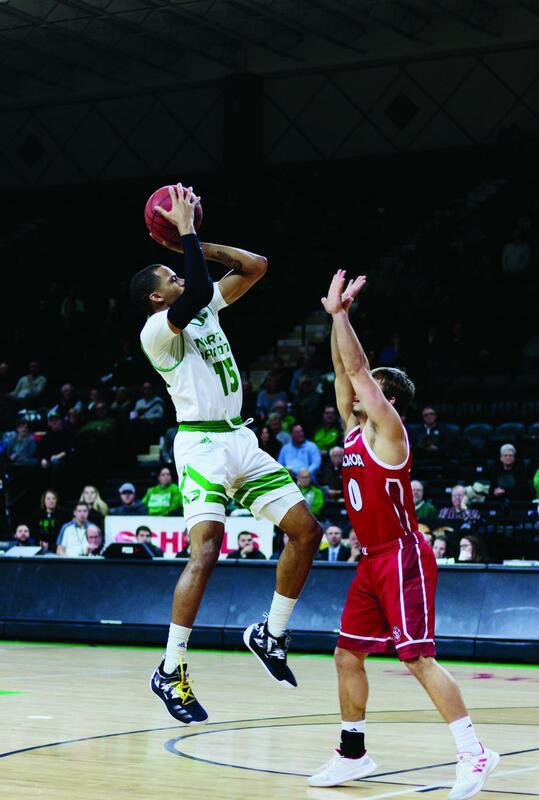 Seales was UND’s best player, leading the team in points, rebounds and assists as he scored 17 points on an efficient 8-of-14 shooting from the field to go along with eight rebounds and seven assists. Seales frequently used his 6 foot 4 inch frame to post up on the wing when isolated. He was often able to get to the rim, hit mid-range fadeaways or pass to an open cutter out of his post-ups. Outside of transition buckets, isolating Seales was far and away UND’s best offense against Omaha. The Mavericks responded well to UND’s 16-0 run as they quickly extended their lead back to double-digits. Any other scoring bursts from UND were too little, too late. 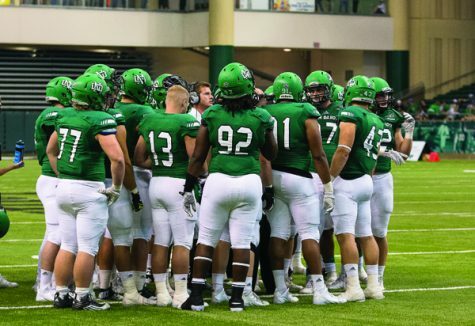 This week, the Fighting Hawks will take on rivals NDSU and SDSU.